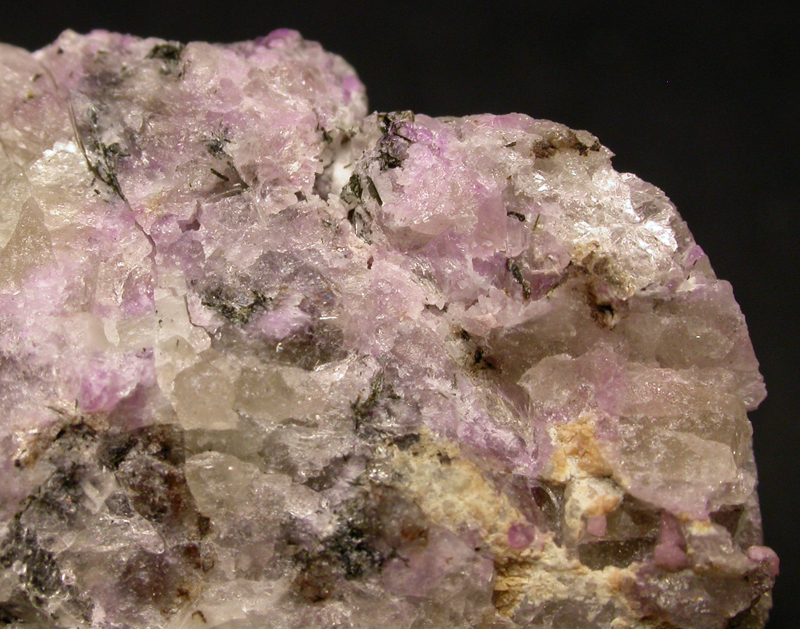 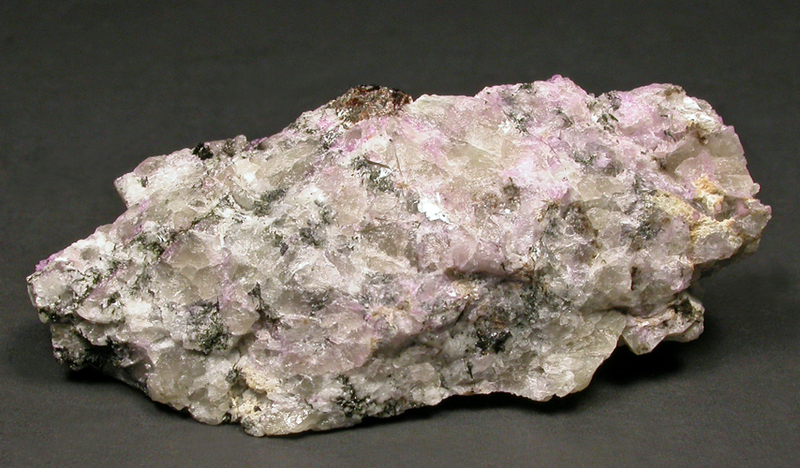 Uncommon rich specimen of massive pink tugtupite, associated with unidentified species. 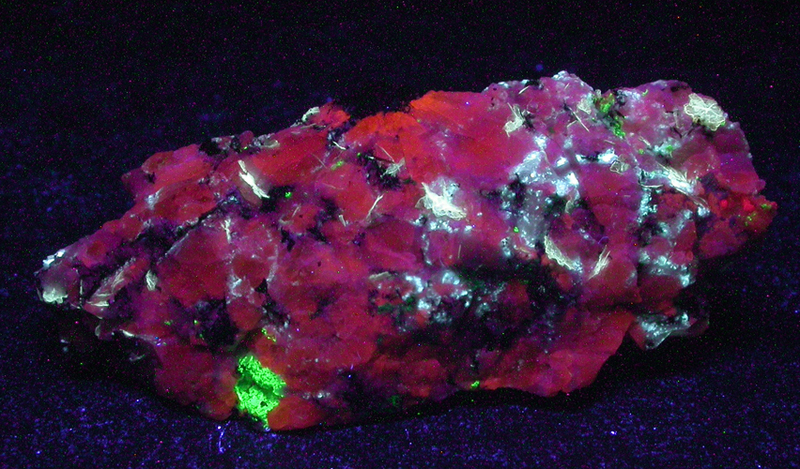 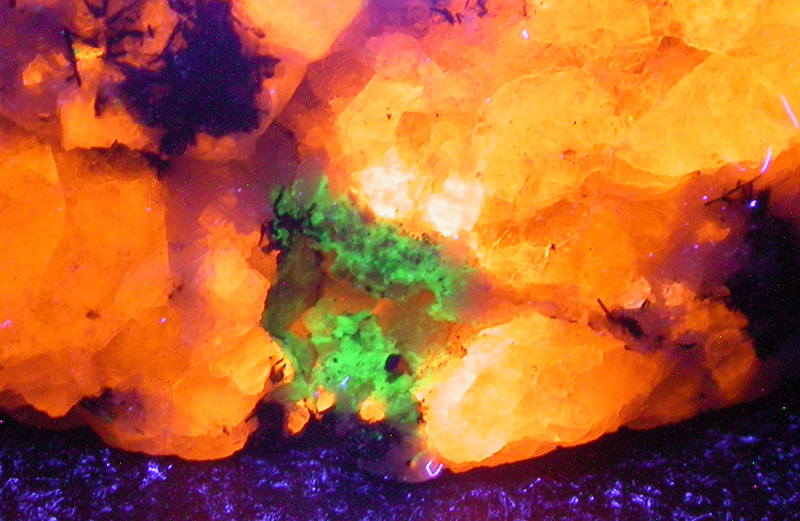 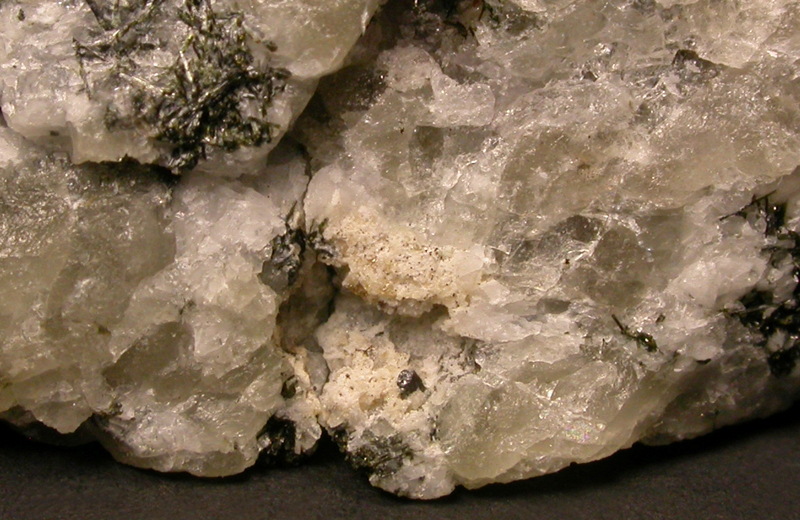 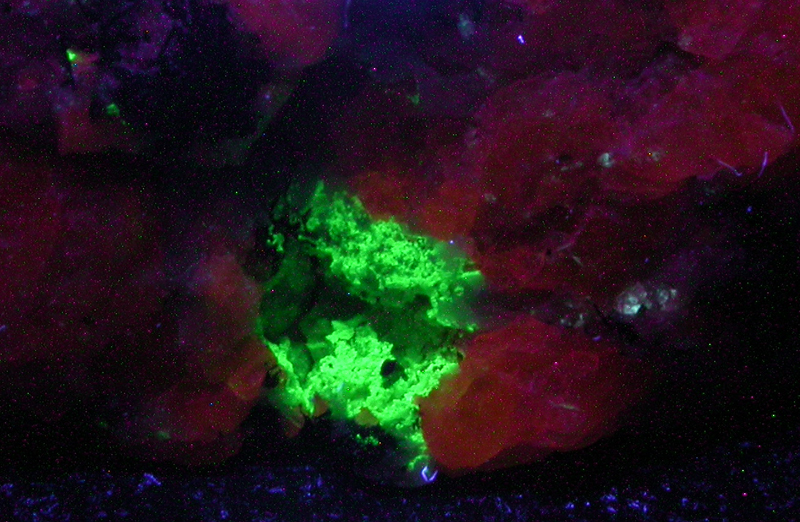 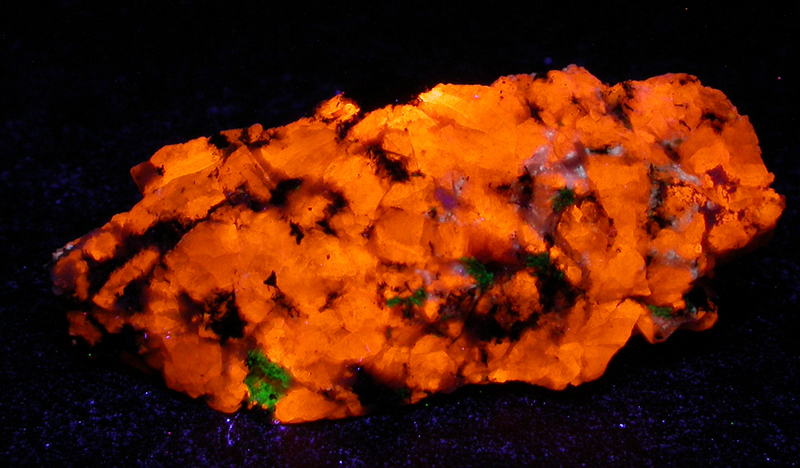 Notice the strong fluorescence of tugtupite and the white and green fluorescence of other unidentified species. 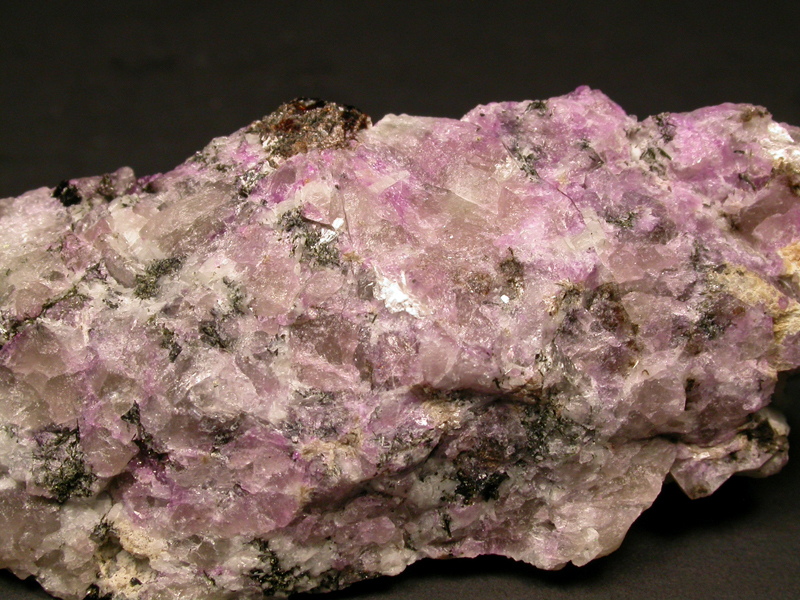 Collection Arkane accept payments by Paypal and direct email messages.